The Leinster Hockey Development Committee is responsible for developing the game of hockey in Leinster for everyone from the age of 4 to 104! The committee is always looking for new and innovative ways of getting people involved in the sport and if you think you have ideas - please let us know! Hockey development does not just involve players - we are looking at ways to increase participation numbers not only playing the game, but also in volunteering, coaching, umpiring, managers, technical officials.... the list is endless. 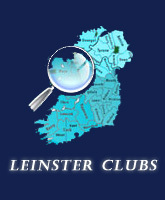 In 2013 the committee launched the Leinster Lions team which competes in the Boys Under 16 League and Cup competitions. This team is comprised of players from clubs with low numbers and it is hoped that by playing with their peers, these players will continue playing with their clubs. In addition to playing games, guest coaches are brought in for training sessions. 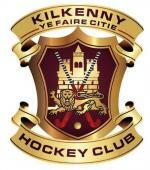 The committee are currently working on a programme to try and increase hockey participation in targeted areas. The pilot project will involve clubs in the Fingal region - more information to follow.